Passionate about improving the global food system and helping farmers succeed. Proud of our experience in agriculture, frontier technology, and robotics. Humble in the face of the scale and complexity of the problems facing the industry. Excited to tackle these problems head-on. Eric Adamson. Co-founder and CEO. Tim Brackbill. Co-founder and CTO. Gus Crowards. Field Robotics Engineer. Derek Cuny. Lead M/E Engineering Technician. Mike Cutter. Director of Computer Vision. Jeff Davies. Principal Electrical Engineer. Colin Mattson. Principal Software Engineer. Shane Snover. Robotics Engineer Co-Op. Seeding Bold Hardware. Root VC led Tortuga's series seed round. Susa seeks out highly defensible companies that leverage data, economies of scale, or network effects to build value and achieve longevity. 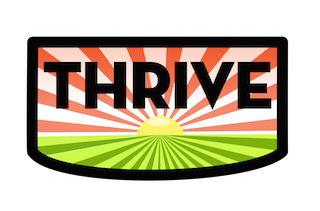 The THRIVE Venture & Innovation Platform works with leading corporations, startups, universities, and growers to solve the biggest challenges facing the food and agriculture industries. Powered by SVG Partners since 2013.